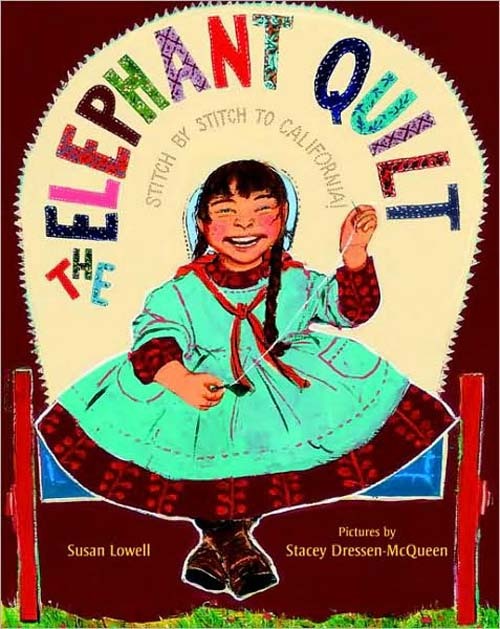 I always look forward to a title illustrated by Stacey, and The Elephant Quilt made me seek her out and ask for an interview. Fortunately, she said yes to a breakfast chat. For her own breakfasts at her Oregon home, Stacey usually has “a Lara bar or something of the sort, and more coffee and vanilla soy milk after dropping my oldest, Finn, off at kindergarten. My youngest, Emma, will be joining us with her bribe ice cream for peaceably leaving the play kitchen in Finn’s classroom.” Ice cream for breakfast? I like her even more. 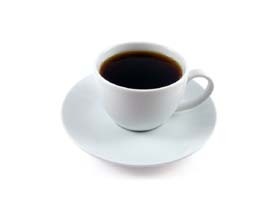 So, let’s set the table and get the basics from Stacey before we sit down to eat our ice cream…I mean, drink our coffee. (I dunno, maybe Emma will let me have a scoop or two.) And I thank Stacey for stopping by to talk about her work a bit and share some images with us. Stacey: I use a mix of acrylic paint, oil pastel, and colored pencil. Stacey: I grew up on a farm in South Dakota, but I have lived in Oregon for the past nineteen years. Stacey: I went to school at Pacific Northwest College of Art in Portland and then started sending samples of my work out to various magazines and publishing houses. 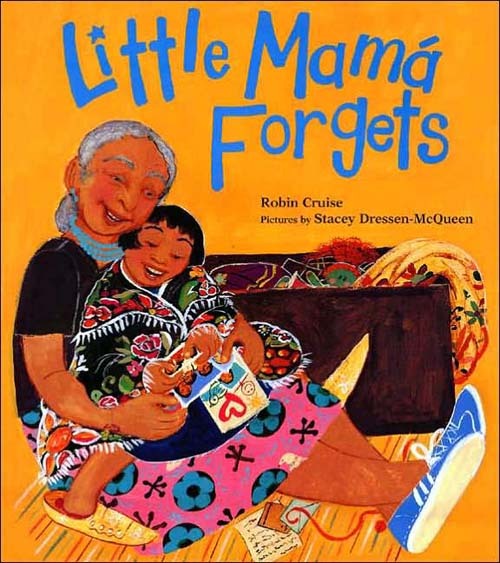 I was fortunate to have some of my illustrations that were published in Ladybug Magazine come to the attention of Judy Sue Goodwin Sturges of Studio Goodwin Sturges. She became my agent. That led to my first book with Melanie Kroupa at FSG, Boxes for Katje. Stacey: Being front and center of anything is absolutely unnerving to me, and I have a pretty quiet speaking voice (quieter still when unnerved), but—that being said—I adore school visits. I am really honored and excited to draw pictures for the author’s words and characters, so it is great fun to share that. Stacey: I am involved in a project about one-room school houses. Okay, the table’s set for our six questions over breakfast, and we’ve got our coffee AND ice cream for Emma. Now we’re ready to talk more specifics . . .
Stacey: Once I get a manuscript, I read it over and then just kind of live with it for a little bit. Then I start collecting references and things to help me think about the direction of what I want to draw. One of the biggest steps for me is figuring out a palette. Even when it is just at sketching/pencil form, if I can have an idea of colors, it helps. I also start some rough character sketches so I have an idea of who is going to be running through the pages. Then I break down the text to pages, start doing quick thumbnail sketches, sketches with text blocked in, rough sketches, more research and references, then the final sketches — all the while going back and forth with the editor. Once the final sketches are nailed down, I can start to paint — this is the most meditative, wonderful part to me. Stacey: I have a room downstairs in my house with a big closet where I can stash lots and lots of stuff — and then shut the door. Fantastic! My favorite part of the room is the drawing table my husband made for me forever ago. 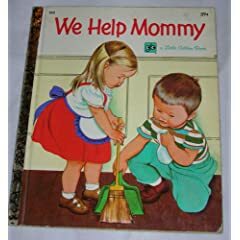 Stacey: When I was really small, I could not get enough of Eloise Wilkin’s We Help Mommy. Along with checking out their busy day, I really liked their house! I loved that she created such a complete, detailed place — and it just seemed so lovely and exotic in contrast to the orange shag here, purple shag there, Midwestern seventies style I was in the middle of at the time. 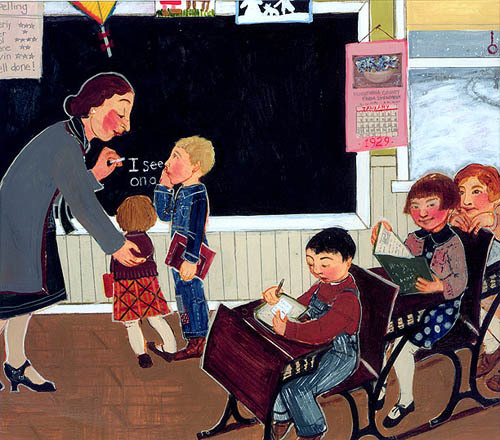 I loved (and still really do) Lois Lenski, too. There was also a mix of old books, children’s books, school books, and encyclopedias from my Grandma’s house that I always loved looking at and drawing from. 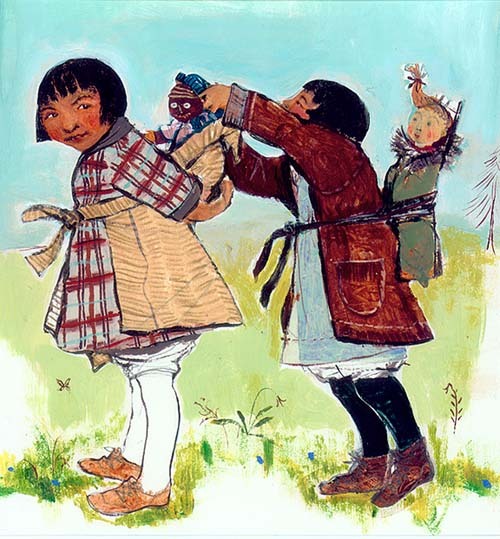 Stacey: I would be way too tongue-tied to meet any of them, even if I could, but I admire to no end: Alice Provensen, Ezra Jack Keats, Nancy Ekholm Burkert, and an artist, Fay Jones, who isn’t an illustrator, but I love her characters as much as if there were books and books about them. Stacey: I’ve been on a kind of Brian Eno thing and, as a family, a big time Pete Seeger bender, but when I draw . . . I don’t know if it’s adding young kids to the mix, age, or what, but I can genuinely only do one thing at a time with anything close to focus. Other wise I sort of go on tilt and stare, not draw. So no more TV, audio books, or music — it’s all about the sweet, sweet silence. Stacey: I sneeze like an old man. Stacey: Color, quiet, people and places I love, cake. Stacey: I’m trying to reel it in, because of the company I keep, but really just any and all in any order. Stacey: My family laughing and/or singing, water. Stacey: Excessive whining and shrieking for no good reason. Stacey: Anything keeping close track of numbers. All photos and art, with the exception of the book covers, courtesy of Stacey Dressen-McQueen. All rights reserved and all that good stuff. Thanks for interviewing Stacey! I was not familiar with her work before *hangs head*, so this was a real treat. 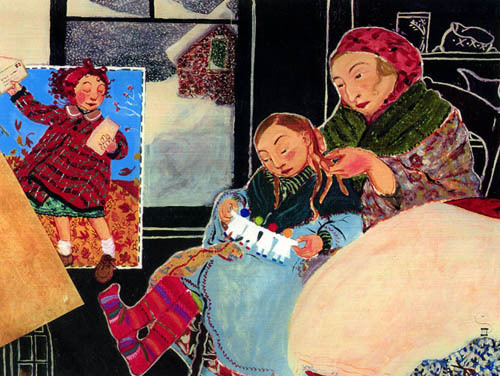 Especially love the “Alaska girls” spread, and the Elephant Quilt book looks very interesting. 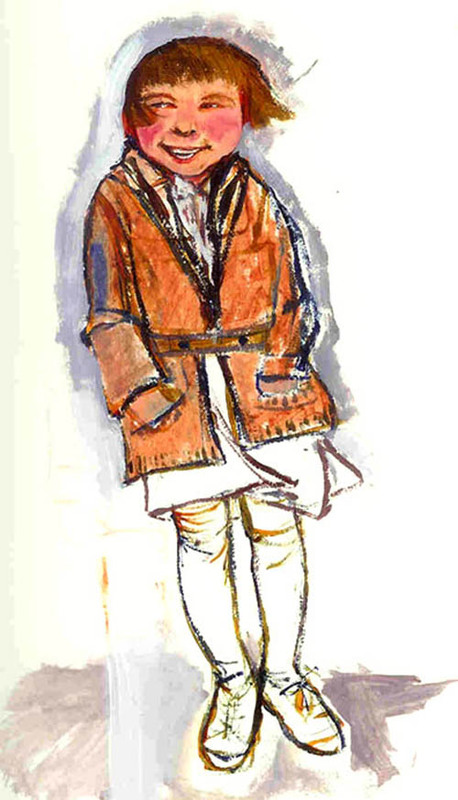 You’re right about the leap-off-the page textures and colors that distinguish her unique style. Pass the ice cream! That parenthetical remark shows the mind of a lovably modest master at work. Another great interview! She sounds wonderful. 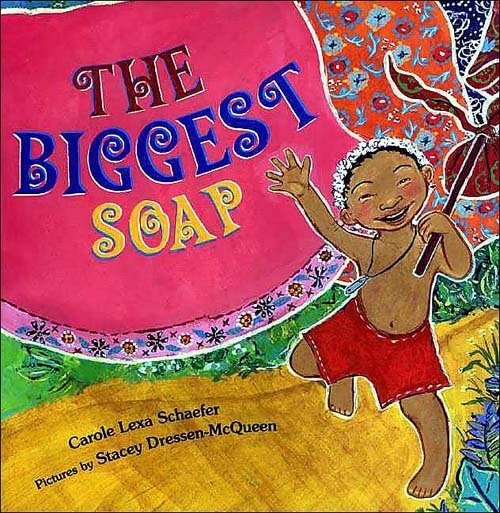 Boxes for Katje, Little Mamá Forgets, and the Biggest Soap have been favourites around our house for a while…but I hadn’t realized they were all the same illustrator — thanks for helping me connect the dots. I’ve suggested that our library purchase her newest as well. Jeremy, I had remembered that you were a fan, ’cause I think you were the one raving here one day about Boxes for Katje, which is what made me jot it down and go get a copy from the library. I love it. Stacey’s art work is something, isn’t it? 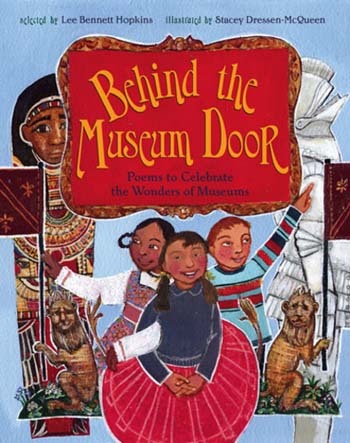 I read some place — some review, I think, but I can’t remember which one — a comparison of her work to Patricia Polacco’s, and I guess I see that (a little? ), but I think Stacey has a style all her own. I agree. This art is gorgeous. Really different. I really, really like Boxes for Katje. It’s one of those books I recommend a lot. And how cute are Emma and Finn? I totally see why she gives Emma ice cream for breakfast; I think I’d give that girl whatever she asked for with those big eyes and everything. 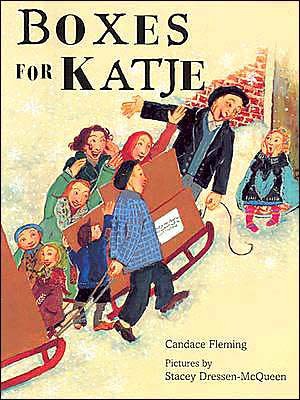 I kind of fell in love with Boxes for Katje the first time I read it – now I’ll have to keep an eye out for her other illustrations! I am interested in contacting Stacey. As we use to work together at the Book House in Minneapolis some years ago. I had visited her in Portland in the 90ties when she really started to do her artwork more n have since been traveling internationally myself. If you can reach her please give her my email address n name. Let her know that alot of magical n positive things have been happening n Id love to share n listen to what shes up to..
Have a positive n life affirming day!